(Tulsa, OK) - "It's an honor just to be nominated": familiar words for Emmy and Grammy nominees. Still, Brent and Deanna Higgins never believed the phrase would pertain to their family. Outreach magazine has recently honored the Higgins' book, I Would Die for You, with a nomination as Outreach Resource of the Year. That nomination, however, came with a great cost. I Would Die for You chronicles the life and death of their young son, BJ Higgins; along with his faith; his passion for missions and his love for God. Compelling excerpts from personal notes, blog entries school assignments and journals reveal his clear calling and enthusiasm for sharing the gospel of Christ. BJ's challenging words and example combine to inspire readers of all ages. After returning from his second short-term international mission trip at the age of 15, BJ became seriously ill. Six days before his sixteenth birthday, he died. His story lives on throughout the pages of his parents' book. In spite of the inevitable grief , Brent and Deanna share their son's message of selfless sacrifice through both I Would Die for You and Awe Star Ministries, the nonprofit ministry that coordinated his mission trips. Their prayer? That countless others will embrace BJ's vision and give their all for the cause of Christ. 1. Describe how BJ became involved in short-term mission trips. How did these trips impact BJ’s faith? BJ watched other members of our family participate in church mission trips. He couldn’t wait for his turn! When Brent led a team to Kentucky to serve in a school, BJ went along. At age fourteen, he learned of an opportunity to minister in Peru. He served there with Awe Star Ministries two consecutive summers and his heart broke over the world’s lostness. His mission service ignited a passion to see the Gospel reach the nations. 2. Even as a young boy BJ’s passion for God shone through in his life. How did you see that passion then and as he grew? In his childhood, his passion sometimes came across as judgmental. When he learned to share out of love, his witness became much more effective. He was bold and unafraid to share the Gospel in any way possible. After his mission trips, his heightened passion led him to spend more time in the Word, in prayer, in fellowship, and worship. BJ could turn almost any conversation to the things of God because he genuinely loved others. 3. Share the story of BJ’s illness and the time when God called him home. Three weeks after his 2005 Peru trip, BJ became critically ill. On the way to the hospital, he told Brent, “Dad, I know you’re scared. I believe the Lord will deliver me through this. But if he doesn’t, I’m going home to be with him, and that’s okay with me.” Friends began a blog we still maintain, http://www.prayforbj.com/. It received thousands of hits as people across the world prayed for our son. After a six-week battle with a mysterious infection, BJ went to heaven days before his sixteenth birthday. 4. How did BJ’s faith journey become the inspiration for the song, “I Would Die For You” written by MercyMe’s lead singer, Bart Millard? Within a week of BJ’s hospitalization Bart (a friend from the band’s early years) called Brent. Our oldest daughter had posted some of BJ’s journal entries on our blog and Bart was amazed at his spiritual depth. He emailed fans encouraging them to pray. MercyMe grieved deeply when BJ died. Our son’s life and writings inspired Bart to put words to a tune he already had, now the final song on the “Coming Up to Breathe” CD. 5. BJ’s life and death have touched many people. Which of his qualities and/or experiences seems to impact others the most? People didn’t realize it was possible to live a life as sold out to Christ as BJ’s. They’re amazed at the boldness he showed when God told him to witness to four Peruvian policemen carrying uzis. As he wrote, he was “mucho scardios,” but all four accepted Christ. His passionate declaration, “I will not be satisfied. I will not let my passion be hid in a bottle” still touches people in deep ways. 6. As you both continue to partner with Awe Star Ministries, what are your hopes and dreams for this ministry? For this book? We hope to impact students’ lives, discipling and partnering with them in missions. We long for them to realize that surrender to Christ can occur without crossing borders. God calls us to live a missionary lifestyle within our own culture. Our hope for the book is not that our son be glorified but that God multiply his message. We pray that God draws those who read it to embrace their Savior and live for Him as never before. 7. Where can readers learn more about BJ and I Would Die For You? Where can they learn more about Awe Star Ministries? http://www.prayforbj.com/ contains devotionals, complete archives, pictures, and BJ’s own words. Recently, we posted a video of his life at www.youtube.com/watch?v=gRNANk5rI2g. You’ll find I Would Die for You anywhere Christian books are sold. http://www.revellbooks.com/ contains a link for a free companion Bible study. Friend us on Facebook: Brent A. Higgins; Deanna Tucker Higgins. Visit http://www.awestar.org/ to learn more about international missions opportunities. May God use you to extend BJ’s passion to reach the nations and “raise a revolution” in Him. As an ordained minister and youth pastor, Brent Higgins continues the faith journey his son, BJ, began a few years ago. He currently serves as Vice President of International Operations for Awe Star Ministries, a Christian nonprofit organization committed to equipping believers for life, speaking to more than 25,000 people each year. As an accomplished musician and elementary school music teacher, Deanna Higgins opens the next chapter of BJ's missionary work by serving alongside her husband to lead mission trips for Awe Star Ministries. Brent and Deanna now reside in Tulsa, Oklahoma. Stay in the Word and in prayer if you expect your children to do so. Too many times, parents expect that the youth pastor is going to grow their children. You can’t expect your kids to live a lifestyle you’re not. Be sure you have a firm answer from God before you respond to your child about a request. For example, when BJ first wanted to serve overseas, our initial answer was “no,” but that was a knee-jerk reaction. Parents must be careful to hear from the Holy Spirit and not respond out of pure protectiveness or emotion. If at all possible, have a regular devotional time with your family. This should include prayer, not just rote prayer but significant time with God. This teaches kids how to pray and encourages them in their walk with the Lord. Arrange to have dinner together as a family as often as you can. This gives you an opportunity to share as a family and also allows you to listen to your children. Kids won’t spill unless parents are willing to listen. Don’t be afraid to let your children fail. Sometimes kids need to try things and learn that failure is a part of life. They need all kinds of experiences as they move into adulthood. Encourage your children to be bold in their faith. Do activities as a family—mission trips and other projects—that require boldness. Encourage them to be involved in opportunities to share their faith. Listen, listen, and listen to your children. We say this humbly because we learned from our mistakes. Often your kids are telling you things by what they don’t tell you. (See the note about having dinner together above). When discouraging things happen, don’t remove your child’s opportunities to obey God. Your child’s relationship with God should never be used as a weapon. Opportunities for fellowship(youth group, etc.) shouldn’t be contingent on “good” behavior. If you make a commitment, follow through. If your child makes a commitment, help him or her follow through on it, too. The lesson here: your faithfulness sets an example for others. Practice what you preach to your children. Demonstrate the fruit of the Spirit through your love, kindness, etc. Although we weren’t (and aren’t) perfect parents, we tried to follow through in our lives with the things we taught our kids. Brent and Deanna Higgins clung to these valiant words throughout their son's six-week hospitalization. BJ became ill with a mysterious infection after he returned from his second mission trip to Peru. His death on September 26, 2005, days before his sixteenth birthday, ushered their family (Brent, Deanna, and two college-aged daughters) into what they called the new normal: life without their beloved son and brother. The new normal also meant life without one who served as a role model for many, including his own family members. BJ's story and message of passionate obedience to Christ are chronicled in his parents' best-selling book, I Would Die for You: One Student's Story of Passion, Service, and Faith (Revell, 2008). How do Brent and Deanna survive the new normal? The Higgins point to their relationship with God as the key. "The level of intimacy one truly has in a relationship with Christ is often reflected through the time of pain, suffering, and loss," says Brent, now vice president for international operations for their son's sending agency, Awe Star Ministries. 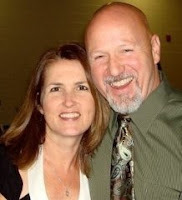 He and Deanna recommend that others who face the loss of a child draw near to God. "When you do, He promises to draw near to you," Brent explains. Drawing near to other people is important, too, Deanna says. "It helped to talk to other people about him, to remember who he was. Initially, just holding onto the people around us helped a lot." Today, the Higgins lead teams of young missionaries like their son to take the Gospel of Christ to people around the world. More recently, God has opened the doors for ministry to others who have lost a child. "No two losses are exactly alike regardless of similar circumstances," says Brent. "I encourage parents to seek the Lord because He always listens." "Everyone goes through it differently," says Deanna. "We each grieve in our own way, but God can handle our anger. He can handle anything." She urges other hurting parents to recognize the hope beyond their pain. "If you look, you'll find ways He's showing you He cares. He's showing you He's with you through it." God's presence doesn't eliminate loneliness, however. The Higgins both admit that their work with students often brings back bittersweet memories of their son. "Certain students remind me of BJ in their passion for Christ, their hunger to know more," Brent says. At times, both Brent and Deanna find comfort in their son's journals (excerpted in the book) as well as videos and pictures of him. Music, an integral part of their family life, also serves as a source of strength. Connecting with God and with others, especially young people like their son, helps them cope. Deanna says the loss of her son has left her more open to see the potential of these young men and women. Brent adds, "Before BJ passed, the things I taught were less experiential and more intellectual. The things the Lord has allowed me to walk through since that time have increased my own intensity and passion for seeing students truly understand what God calls them to do." As part of a passionate declaration in one of his journals, BJ wrote, "It's time to raise a revolution. God will give me the strength." For his parents, the new normal means a commitment to extend his legacy--even when it hurts. I've been wanting to read this book for a long time! I;ve never been on the mission field, but it's big desire of mine! My deepest sympathies on the loss of your son. It is hard. Yet the cause for which he died brings joy. You had one brave son. Wow, just reading this excerpt has touched my heart! I have not been on a mission trip but it ha been a desire of mine for soem time. I hope to do so with my children when they are a bit older. Thanks for the opportunity to win this package. i have never really gone a mission trip that was organized, but I went to Bolivia with my dad and siter and we did experience alot there, talking to shoe shine boys etc. What a wonderful way to share your child's story! 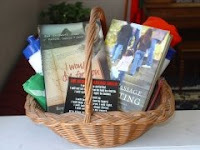 I would love to win this gift basket. Mostly, though, I am so in awe of parents that can write about their beloved son that died. What a journey in writing their feelings must have been. I will buy this book if I don't win and then share it with friends who lost their son and 10 years later still grieve.